Are you looking for a business opportunity that will give you the freedom to set your own hours and work how and when you want? Without having to be on someone's downline or sell to your friends? That sounds like the ultimate goal, right? I'm excited to tell you that this is exactly what I have found with selling on Amazon, using their Fulfillment By Amazon (FBA) program. 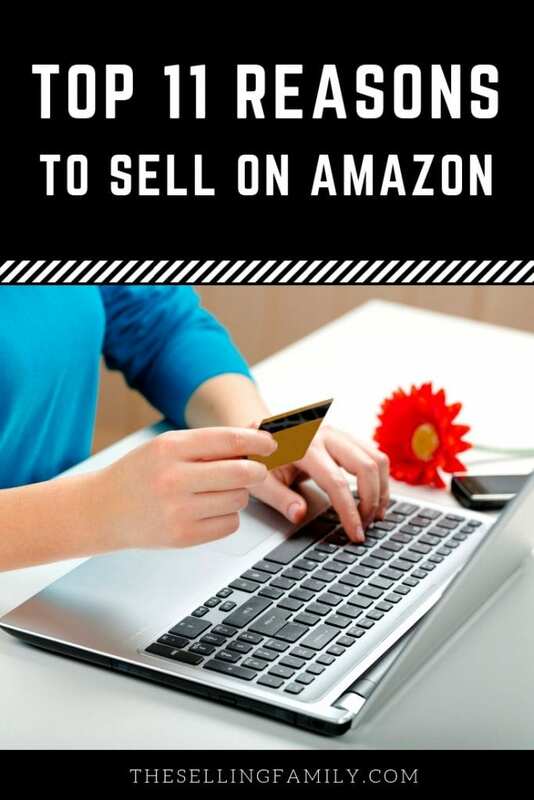 In today's post, I am going to share with you the top 11 reasons why selling on Amazon is the best platform! One of the biggest issues with starting any business is that you need to have money upfront. Some businesses take tens of thousands of dollars to get started. Well, not an Amazon business! You can get started with VERY LITTLE cash upfront. You can start with items you have at home or even source inventory from thrift stores or yard sales (this is how I started back in 2009). Both of these options get you in the door with very little cost. As far as tools go, you need a few basics to get going. A computer, a smartphone (which you are probably reading this from), boxes, tape, printer, paper, and address labels. There are more tools you can add along the way, but to be up and running all you need are these basics and some items you want to sell. Adding up the cost of a few office supplies and gadgets is just pocket change compared to the cost it takes to start most other businesses. Not to mention you'll have no employees to pay! One of the worst things about starting a new business is trying to find customers or clients. You know that jewelry party business where you have to invite all of your friends to buy…? So uncomfortable! When you sell on Amazon, you never have to worry about finding customers. The customers are already buying on Amazon. Amazon is constantly working on brand recognition and getting new buyers to join their platform. Amazon now claims 49% of all US ecommerce sales. That means that every other ecommerce platform is splitting up the other 51%. So Amazon is the place to be if you want the most potential buyers for your products. This means that all you need to do is get the products the customers want and Amazon will handle the rest! Amazon has a little trick up their digital sleeves that other marketplaces just don't have. Prime buyers. Amazon Prime Members are some of the best, most loyal buyers in the world. 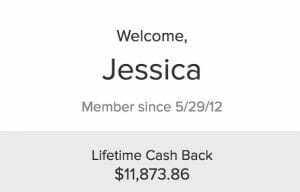 These members happily pay $119 per year for access to Amazon's ever-increasing Prime benefits. Back when I was a new seller, the only real Prime benefit was Free 2-day shipping. That's certainly still available and a worthwhile perk on its own. But now Prime Membership includes WAY more. There are dozens more, too, so people have plenty of reasons to become Prime members. But don't take my word for it (even though I've been a Prime customer for years). New data reveals that there are now 100 million Amazon Prime members. And those 100 million members are excellent buyers. Prime members spend an average of $1,400 per year on Amazon. That's more than double the $600 spent by non-Prime Amazon shoppers. Maybe you're thinking, “great, that's good news for Amazon. What about me?”. Well, if Prime Members want free 2-day or same-day shipping, they can only choose to buy Prime-eligible products. That means they're only shopping offers from FBA sellers like you. When I talk to people about starting an online business, one of the first concerns is that they don't know how to design websites. A website takes a lot of time and money upfront to get it looking good and ready to sell products on. When you are selling on Amazon, you don't need to have your own website! None of the things that go along with owning a website either: No hosting, no SEO, no security, no email list (these all cost $$$). Amazon already ranks close to number one for most things, so the hard part is done! Right out of the box, the Amazon platform is ready to go for a new seller. By now, you should see that building a business on Amazon is a great opportunity. But, what is the number one goal of starting a business? Making money of course! When you are selling on Amazon, you can start making money quick. Often times within just a couple of weeks. Our Amazon Boot Camp students often let us know that they had their first sales within days of getting their first shipments to the Amazon warehouses. Imagine that! In less than 2 full weeks, you could have your first sales and profits waiting for you in your account! In fact, it took our Amazon Boot Camp student Sandra just over two weeks to reach $1,000 in sales. Amazon's platform offers a level playing field for big sellers and new, small sellers. Because there's very little emphasis on Seller Reviews (unlike eBay), a buyer is just as likely to buy from a brand new seller as they are a large seller. If you were selling on your own website, you'd never be able to compete with bigger, more established companies. No one would notice your “measly” products if your website was on page 37 of Google! Plus, small, part-time sellers have all of the same opportunities as the big guys. You still get to take advantage of the FBA service even while you're just learning the ropes. When you start selling on Amazon, you can start really, really small. 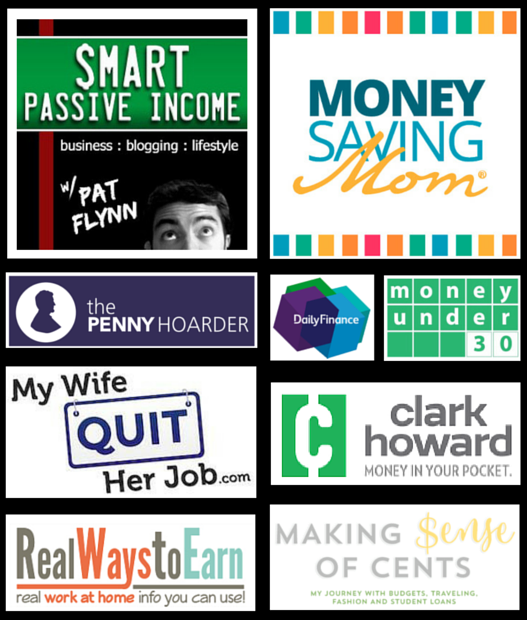 You don't have to have thousands of products lined up or have money for advertising. If you can find about 10-30 items to sell, you can send them to Amazon and start snagging sales. There's no penalty for being small. One reason that Amazon is so popular is because they deliver a stellar shopping experience for the customer. First, they offer crazy-fast shipping. I know that now when I shop places other than Amazon, I am super frustrated by SLOW shipping (and by slow I mean 4-5 days!). But they also allow for super easy refunds and returns. No one wants to have to jump through hoops or wait weeks to get money refunded. So Amazon customers are generally happy customers. And that's because Amazon is responsible for delivering the customer service, even for third-party sellers. We provide the products and Amazon handles almost all of the rest! Aside from a few customer emails that slip through the system, Amazon will take care of your customer inquiries. If your buyers have a problem with an order or need to change their shipping address, that all goes directly to Amazon! They handle all aspects of returns and refunds for FBA sellers, too. If a customer needs to return an item, they send it to an Amazon warehouse, not to your house. And Amazon will handle the matter of refunding the buyer's payment method so that you don't have to deal with complicated merchant accounts. Some people really like the idea of building a product line and marketing it. Personally, I like to sell the products that other people have already created and marketed. Manufacturing a product comes with a lot of time and money. We want you to be able to build your Amazon business quickly and efficiently. This is why we teach Retail Arbitrage in our Amazon Boot Camp course as the main way to find products. It allows new sellers to have low start-up costs and fast sales. Why start producing your own products when there are plenty of items locally in clearance aisles, liquidation stores, thrift stores, and more that are able to be resold easily! Let the big companies do the costly things. Amazon has a very good reputation in the eyes of buyers. When customers shop on Amazon, they feel confident that they're going to get authentic products and that they're going to receive them in 2 days. They also trust that their credit card information is secure and that they won't receive spam emails from the sellers. This is different than a lot of online shopping! Look, I love eBay, but you never know when something you buy there will take weeks to arrive or show up smelling like cigarette smoke and wet dogs. Or think of all the products you see sold on Instagram and Facebook. You probably get ads all the time for things like cute mugs or home decor items. They may seem like a good buy, but many of those products are actually shipped from China. They could take months to arrive or be knockoffs. Anyway, when someone is shopping on Amazon, they just don't have to worry about things like that. And when people are buying your products on Amazon, you get all the benefit of their great reputation. Retail Arbitrage sellers can sell on Amazon.com from anywhere in the US. And Online Arbitrage sellers can sell from anywhere in the world through the use of prep centers. Because you don't have to ship direct to customers, you can sell products and grow your business even when you're on the road. I often take off a full week or more and my Amazon sales keep rolling in. You can even be a full-time Amazon FBA seller if you're living a location independent lifestyle. 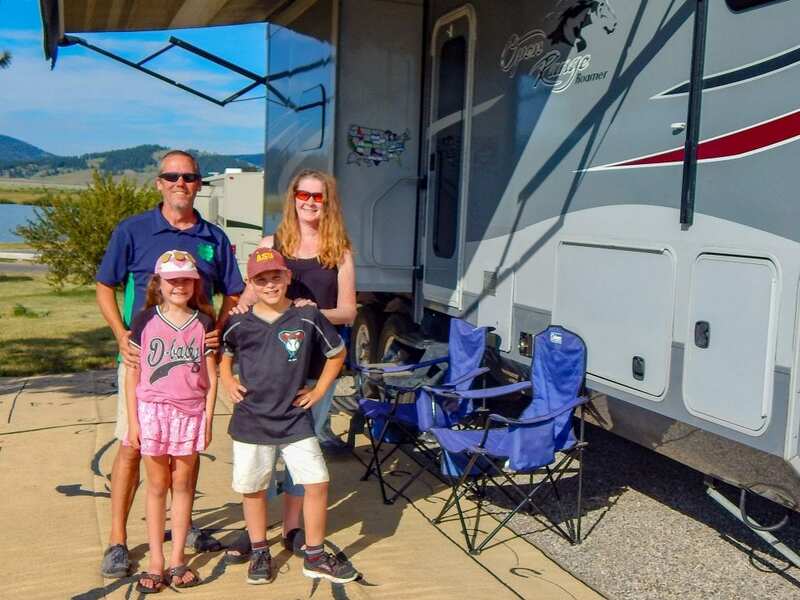 Check out this family of 4 who runs an Amazon biz from their RV while traveling full-time! The true beauty of the Amazon marketplace is that Amazon does all of the heavy lifting when you use their FBA program. When an order has been paid for and is ready to be shipped out to a customer, Amazon ships it out! They find the right size boxes and pull the product from their warehouse shelves. They even cover the cost of 2-day or same-day shipping. This means that you get to spend your time focusing on the money-making aspects of the business (buying inventory) and almost no time on boring stuff like customer service emails, refunds, buying bubble wrap, and making infinite trips to the post office. I learned this the hard way when I started selling on eBay. I couldn't grow my business to the levels I wanted while handling all of the customer support and packaging on my own. How was I going to ship 30+ products a day?! As soon as I left eBay and started using Fulfillment by Amazon, that was no longer an issue! If you're still a little fuzzy on the details of FBA (I know it sounds like magic some times! 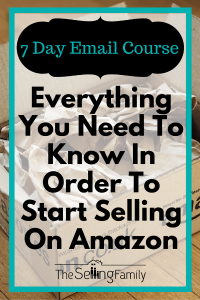 ), you'll want to check out this blog post: How To Sell On Amazon FBA – The Complete Beginners Guide. There is no time like today to start your Amazon FBA business! 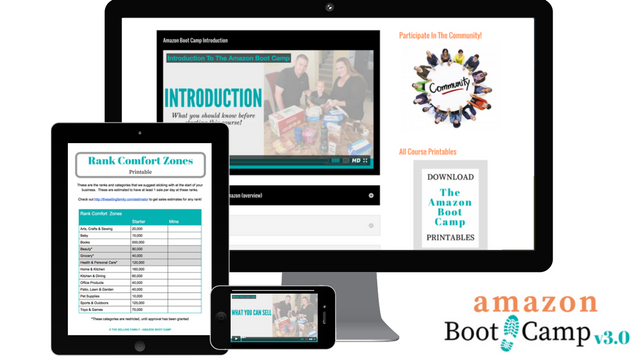 If you're ready to jump in with both feet, let us walk you through the process in our Amazon Boot Camp course. We have helped thousands of people just like you get started on Amazon and create profitable businesses. We would love to work with you too and watch you succeed in business and in life. Do I have to form an LLC if my name is going to include the lettering “LLC” as my legal seller name on Amazon? I think it will definitely help and can do what you are looking for. I have been selling on ebay for over 10 months now working my tail off and have only sold a total of 41 items in that time. Only one item has sold this month. How I would love to have your problem of shipping 30 items a day! How can I be convinced Amazon will be any different? Are you selling used items or new items? If you are selling new, then the PRIME program is what makes all the difference. Mostly used,( although even my used products look new for the most part) maybe a quarter new, and even though my prices are very competitive with other sellers I hardly get any sales except offers from others that are so.. low I would not make anything or even lose money. I’ve done all kinds of changes others have suggested to no avail. I want to start with items that I make. Do I need to spend a lot of money getting UPC codes. Hi will this work from New Zealand? Via Amazon Australia? When I click on the link for Amazon Boot Camp, it is asking for a password? How much money can you make if you are really trying? How do taxes and claiming income work? This has a lot to do with how much money you have to invest in starting the business. You are “multiplying” your monies. All profits are claimed on taxes, and then you have to pay income tax/self employment tax.